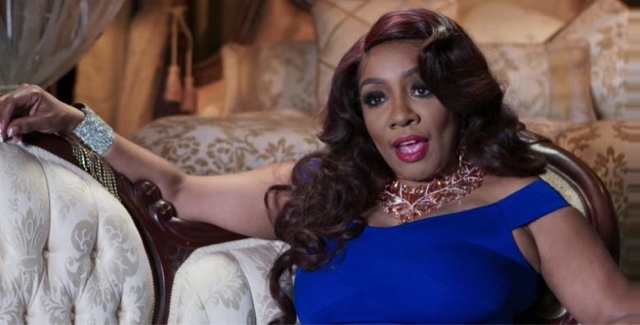 Love & Hip Hop: Atlanta is back and messier than ever! During the new season premiere we were introduced to our regular favorites and some new faces, "KK" and her family being one of them. Karen "KK" King is said to be an outspoken and vivacious momanger to her son's Scrapp Deleon and Sas as they attempt to get their struggling music careers back on track. Seems like the typical love and Hip Hop drama once you throw in baby mama drama right? 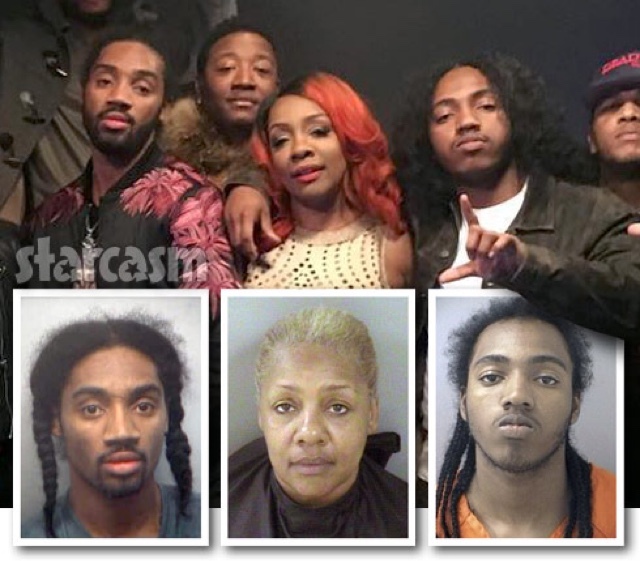 Plot twist, what VH1 did forget to mention is that this family was allegedly behind the brutal beating, kidnapping and attempted murder of their father in 2012! Karen Lynn King (pictured left) is a 52-year-old woman from Canton, Georgia who is wanted by authorities for murdering her husband, 46-year-old Lyndon Baines Smith in Cherokee County 10 months ago. Police say King as well as her two sons, 22-year-old Lyndon Ahlik Smith and 17-year-old Alonte Lyndell Smith, along with 22-year-old Robert Sylva Jr, 22-year-old Melvin Floyd and 24-year-old Will Cortez Robinson, also known as his stage name ”Scrapp Deleon,” all residents of Atlanta, Georgia, to help her murder her husband who was also the father of Lyndon and Alonte. King and the five young men had planned and plotted what they were going to do for some time and on March 4, 2012, they put their plan into action. Smith was unknowingly lured by his sons to a BridgeMill community in Canton and while there, the five men attacked him. After beating him, Melvin Floyd placed his body into a 2004 Mercury Sable and drove to Alabama. During this long ride, Smith was still clinging to life in the trunk. Floyd was stopped during a routine traffic stop and cops suspected something illegal was going on due to Floyd’s suspicious behavior. They asked him to get out of the vehicle, placed handcuffs on him, and proceeded to search his car. When they opened the trunk they discovered the badly beaten body of Smith, who was near death. Floyd was immediately arrested and Smith was rushed to the local hospital where he died shortly after. The other four suspects, including Smith’s two sons, were all eventually arrested but Karen King, who was dubbed the ”mastermind” behind the murder, remains on the run. According to authorities, King has ties to Miami, Florida which is the same City her son was captured in. After being featured on Americas Most Wanted and captured in Florida charges against KK and her son's were dropped for lack of evidence. New Video: Rihanna - "Needed Me"
Video: POWER SEASON 3 TRAILER "GHOST MUST DIE"